Kylie Is Back In Business With A Make-Up Line Inspired By Her Daughter! 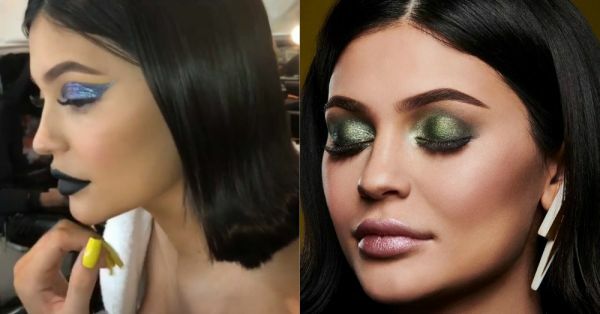 Soon after her hush-hush pregnancy, Kylie Jenner took almost no time to come back to the beauty industry. 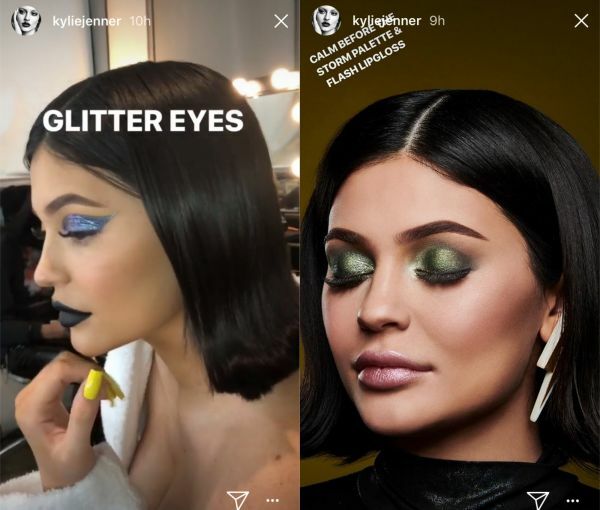 One thing we can say about the Kardashian-Jenner family is that fame is in their blood and Kylie just proved it twice within 48 hours. She was recently in the news for causing Snapchat to lose $1.5 billion just by tweeting about how she’s stopped opening the app. 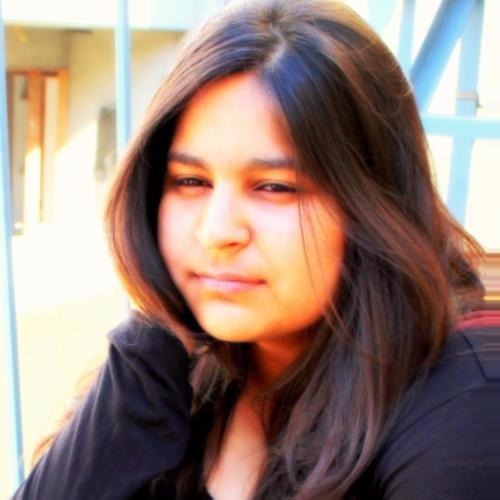 Even when she tried to make-up for her tweet later, it was already too late. And now, she’s revealed her latest palette, Weather Collection. What’s so special about the new mommy’s latest collection? 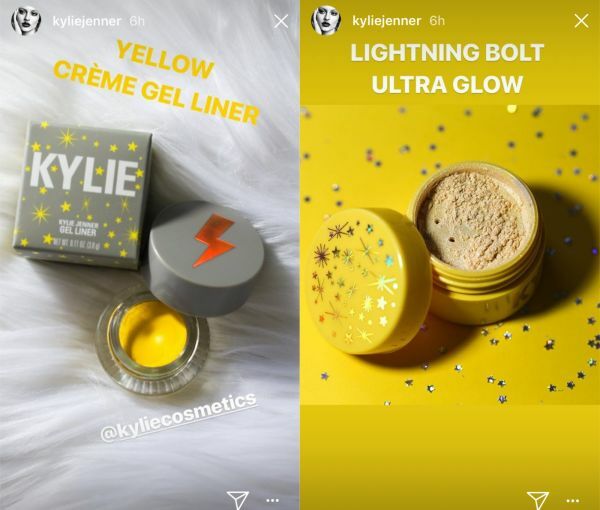 Well, this collection is inspired by Kylie’s daughter, Stormi. 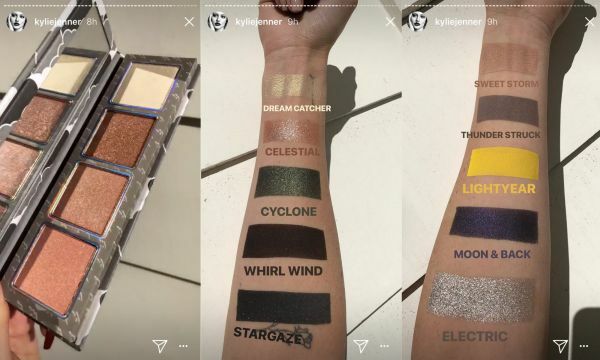 On her Instagram stories, she revealed the entire collection. First, she showed off three new matte formula lipsticks: the black Nightfall, brown Cosmic and pink Nova. She also shared two glittery eye duos: a shimmery gold called Superstar and a pink Twinkle Twinkle. Another duo features a brown colour called Destiny and a blue Violet Moon. Swatches highlight the shimmer in the formulas and they glimmer. Kylie also revealed two eyeshadow palettes, Calm Before The Storm and Eye Of The Storm, clearly named after her daughter. The pots in the first palette feature calming names like Angel, True Love and Sunshine, while Eye Of The Storm features celestial ones like Dream Catcher and Moongaze. Then came the sparkly pink Flash Gloss, powder highlighter palette and Lightning Bolt loose powder. Stormi is less than a month old but the Kardashian-Jenner family is making sure she gets all the attention she deserves. She's born famous. She's been immortalised through her mother’s make-up collection which will be covering thousands of faces, all over the world. So fancy!